Yuanyuan (YY) Zhou is a Qualcomm Chair Professor at the University of California at San Diego, where she joined in 2009. Prior to UCSD, she was a tenured associate professor in the Department of Computer Science at University of Illinois at Urbana Champaign. She also worked at NEC Research Institute as a scientist after completing her Ph.D at Princeton in 2000. 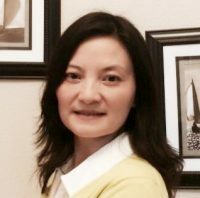 Her research interests span the areas of operating systems, architecture, storage systems and software reliability. She is the recipient for the ACM Mark Weiser Award 2015, IEEE Fellow 2015, ACM Fellow 2013, Alfred Sloan Fellowship 2007, UIUC Gear Faculty Award 2006, NSF Career-2004 award, the CRA-W Anita-Borg Early Career Award 2005, the DOE Early Career Principle Investigator Award 2005, the IBM Faculty Award 2004 & 2005, and the IBM SUR-2003 award. From 2000-2002, she co-founded a storage startup called Emphora in Princeton, NJ. In 2007, She co-founded her second startup, Pattern Insight . Pattern Insight has deployed solutions used by many large companies and became cash-flow positive since 2010, with a good exit to VmWare in 2012.